We are no strangers to swapping Mustangs especially the 96-98 Cobra flavor. 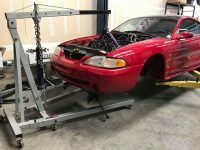 Our first Coyote swap was PBH owner Jake Longs 97 Cobra that was the pilot vehicle for many of our Coyote Swap products. James Perez chose to do the same. Telling us “This was a car I have wanted since high school . I had the car for one week and decided to repaint it . 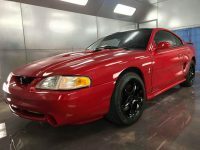 After the complete paint job I got to drive the car for two weeks before the cobra showed it’s age and spun a bearing.” James, like many are chasing down the cars they always wanted in their youth but maybe were not capable of obtaining. 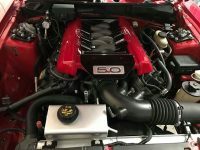 With their acquisition later in life they have what they are looking for but are finding that the cars have aged or maybe have lack luster performance in comparison to some of their daily drivers. Typically the answer is to just add boost or rebuild it for what you would like the car to be. Today that third option is just too good to ignore. That option is the Coyote Swap. 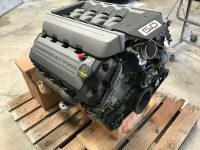 There are a lot of options to consider when doing a coyote swap. 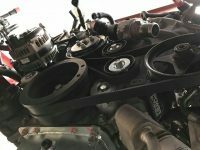 Engine is the first place to start and then things start falling into place. 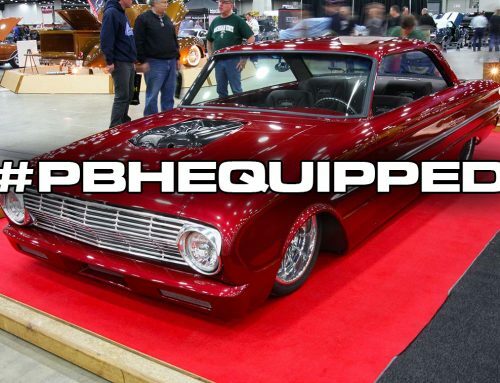 James selected to use a Generation 2 Coyote engine from FRPP and backed it with a Tremec TKO transmission. A FRPP control pack was ordered to control the Coyote engine like factory and James selected our Coyote Swap Accessory Bracket kit to re-fit his existing Power Steering pump and Ac compressor with lines from his original 4.6L DOHC engine to the all new Coyote. 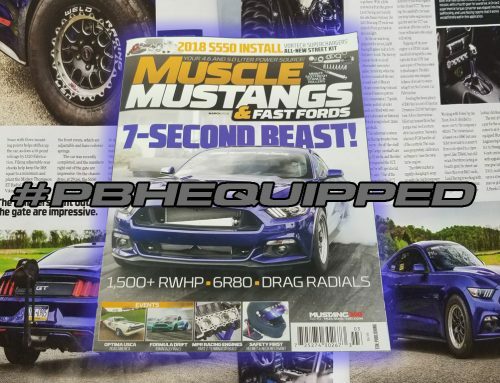 Doing this not only got him covered for his NA setup but with hopes of putting boost on the Cobra in the future James now can opt to bolt on a Roush, VMP, or even Whipple supercharger while maintaining his PS and AC in place. 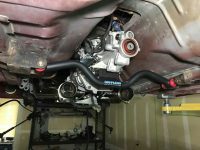 A UPR kmember was added to the parts list along with a Stifflers Crossmember to help clear the larger 3inch exhaust. 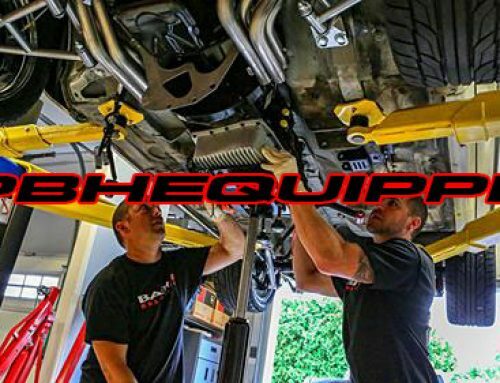 With the help of Rob Brzykcy of Blaq Labs and Nathan Andrew Hensley James was able to get all the new pieces mounted, plumbed, and wired. The wiring is key as James retained all his factory AC and gauges in the Cobra. 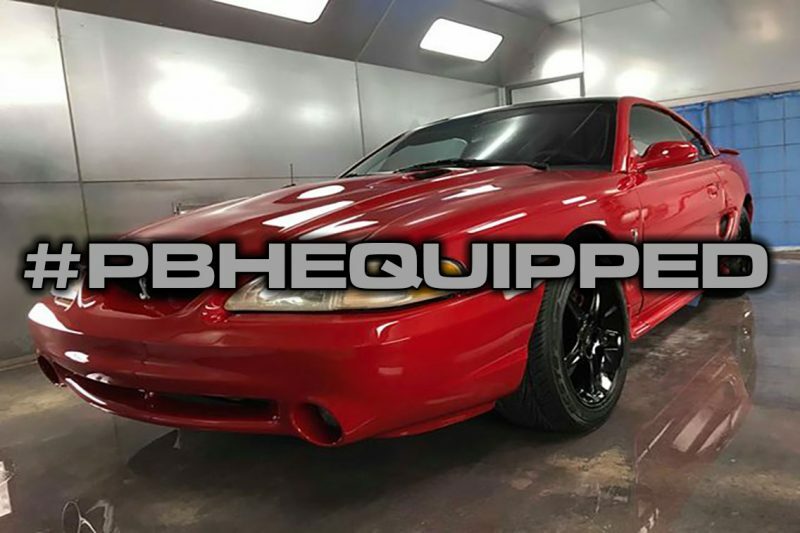 Along with all the mechanical work a full repaint of the car was done by Street Custom Body Shop to give the Mustang a new look as well. 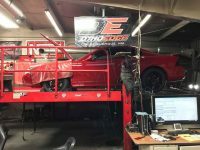 After all the parts and work invested, James took the Cobra to Chris Groves at The Dyno Edge and laid down 420rwhp with room to grow. He is letting the dust settle for now as he plans his next mods for the build and boost is on the radar. 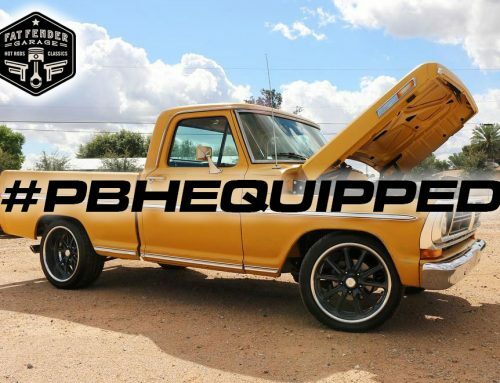 With builds like these its hard to trust what you see on the street. 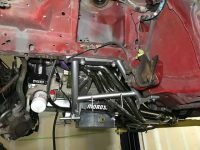 The old Modular Cobra may still have that stock 4.6L under the hood but then again, it may have a lot more without tipping you off. 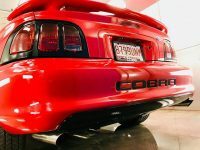 So if you see a Red Cobra rolling the streets of Albuquerque, New Mexico remember what might be under the hood before you give it a go.